Please note images with bulb glass are for display purpose only. Supplied kit comes with 2ml, straight glass as shown at the bottom of this listing. Geekvape Aegis Mini is designed to be a very durable mod with extreme water, shock and dust protections. 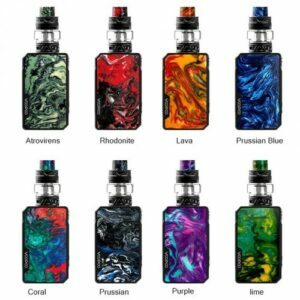 This mini beast is equipped with Geekvapes advanced AS chipset, allowing power from 5W to 80W with outstanding accuracy in both power and temperature control modes. The mixture of alloy, leather and SLI silicon provides incredible durability and ergonomics. It is very compact and has a good, built in 2200mAh battery. Featuring passthrough charging function for simplicity and convenience, with 2A fast charging, that can charge up to 80% in just 30 minutes! Included is the Cerberus sub ohm tank which is optimised by Geekvapes ultimate Super Mesh coil to maximise the heating contact surface area. In turn this will provide maximum flavour and vapour production. Super Mesh Coils are compatible with Aero Mesh and Cerberus tanks.